Our Made You Look Bouquet is bound to turn heads with its stunning blooms and bold hues. 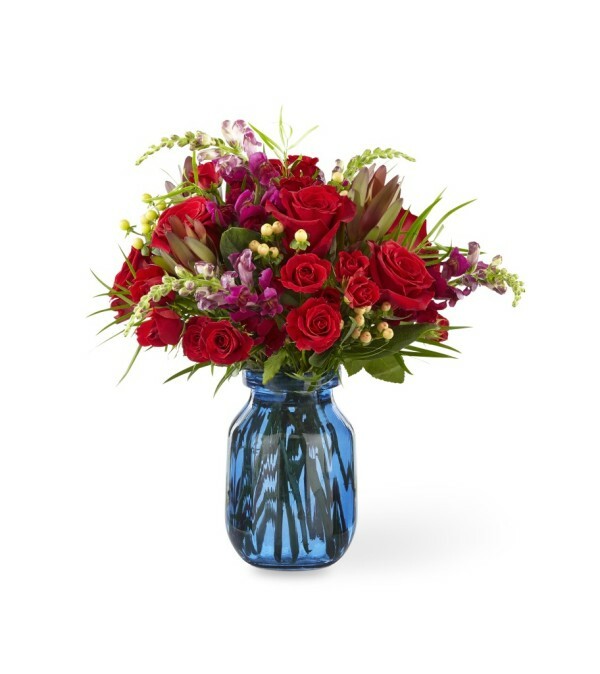 A gorgeous collection of red roses and spray roses, burgundy snapdragons, and peach hypericum berries is accented by luscious greens and a vivid blue glass vase. 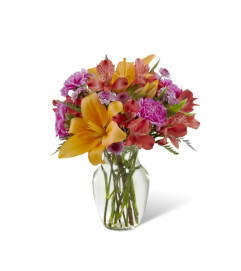 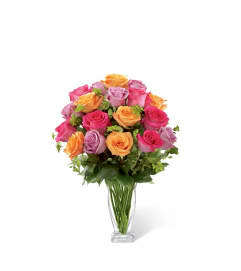 This bouquet is a perfect gift for someone that draws in the attention of a room.